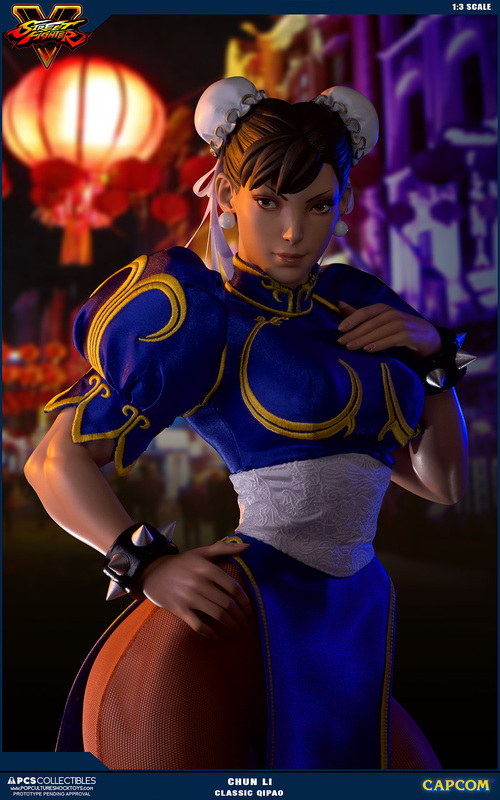 For even more info and a few photos, read on. 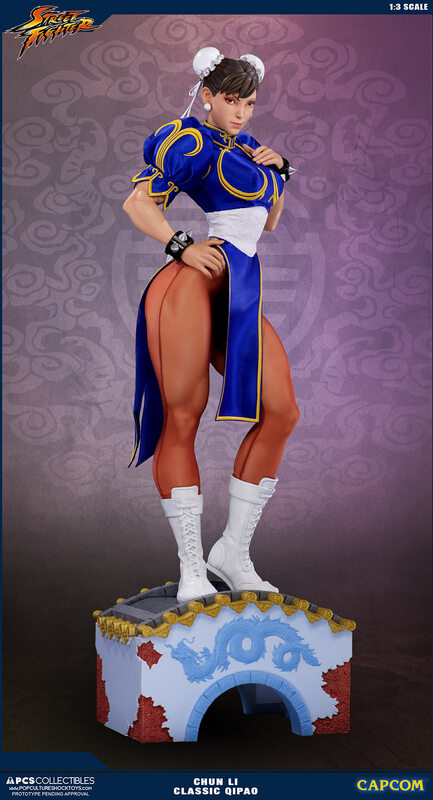 Following the tradition of Ryu and Akuma, Chun Li was personally sculpted by Jerry Macaluso, who spent months sculpting and resculpting until he captured her essence. 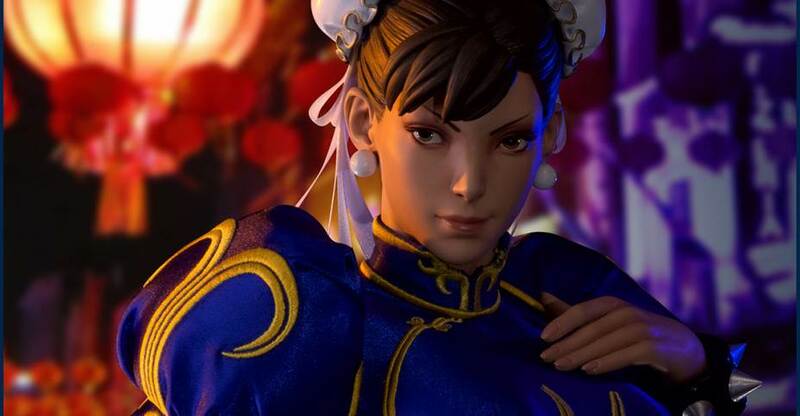 “We began with Chun Li’s most recognizable look, Classic Qipao, which is the blue outfit she’s worn since Street Fighter II,” continues Macaluso. “Re-creating that dress was no small feat, but we are lucky to have some of the most talented costumers in the business working with us for months, and it really shows in the amazing details on this piece, such as the embroidery.” Several iterations of the qipao were produced, trying a number of different techniques and materials before finding the right combination to make Chun Li look as if she had just stepped right out of the game. 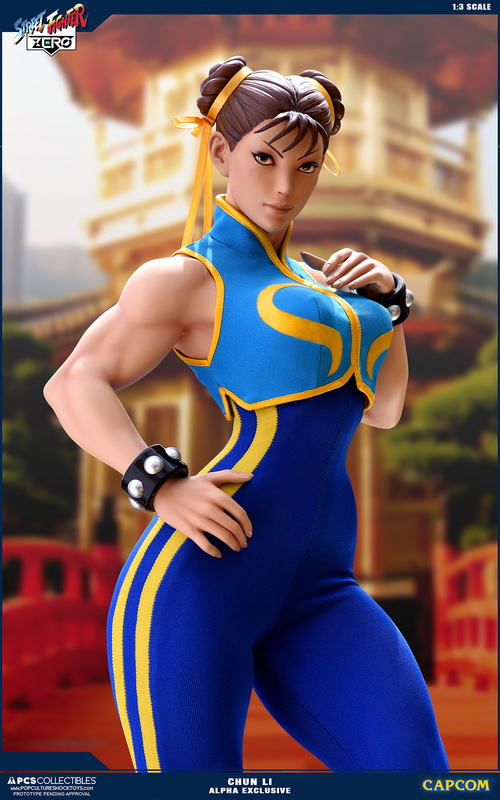 All three versions will be offered individually and also as a Legacy Set, offering collectors the opportunity to display Chun Li in all three phases of her career, from her start as an aspiring martial artist to her current role as a globetrotting Interpol agent.